Domestic rental properties can receive a highly efficient new gas boiler under the ECO scheme when their tenants qualify under certain criteria. These criteria focus around low income families and pensioners, including those who receive benefits and have an income below a certain threshold. How can landlords benefit from the ECO scheme? As of April 2016, landlords are legally obliged to consider the requests from tenants to make their homes warmer and cheaper to heat. Take advantage of the ECO grant now to save money on changes you will likely have to make anyway. A new efficient boiler can contribute to raising the Energy Performance Certificate rating. From April 2018, all landlords in England and Wales will be legally required to improve their properties to reach a rating of at least E – so now is a great time to act. A new boiler is less likely to break down or require as much maintenance, giving you peace of mind and costing less in repairs. Having a new, modern boiler is an attractive prospect to future tenants. All of the boilers installed under ECO will be A-rated condensing models, which will greatly reduce your property’s CO2 emissions. 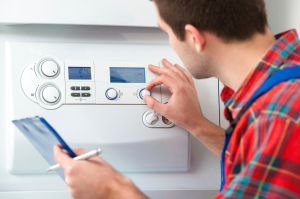 Can landlords apply for boiler grants on behalf of tenants? 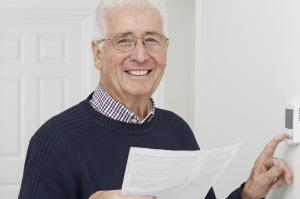 No, your tenant needs to apply for a boiler grant themselves using our simple online form. You can help them with the process by providing details like the make, age and model of the current boiler. Can tenants apply without my permission? No, tenants living in privately rented accommodation must have their landlord’s permission to go ahead with the boiler grant process. 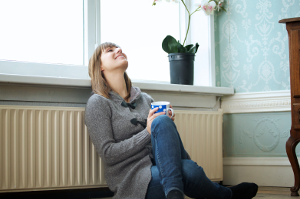 How long do tenants need to be in the property to get an ECO boiler installed? The tenant that applies must be living in the property throughout the entire process in order to receive the free grant. All of the engineers we work with to install boilers are Gas Safe Registered. The new boiler will need to be surveyed as part of your Gas Safety check every 12 months and serviced when necessary. Speak to your tenant today to see if they could be eligible for a free boiler grant towards a new energy efficient boiler. "Really quick and helpful in putting me in touch with a local company, highly recommended."